Fixed blade knife 9.25 inch overall, 4 inch 5mm stainless steel blade. Brown coated plain blade, 5.25 inch 6mm thick black and grey g10 handle. 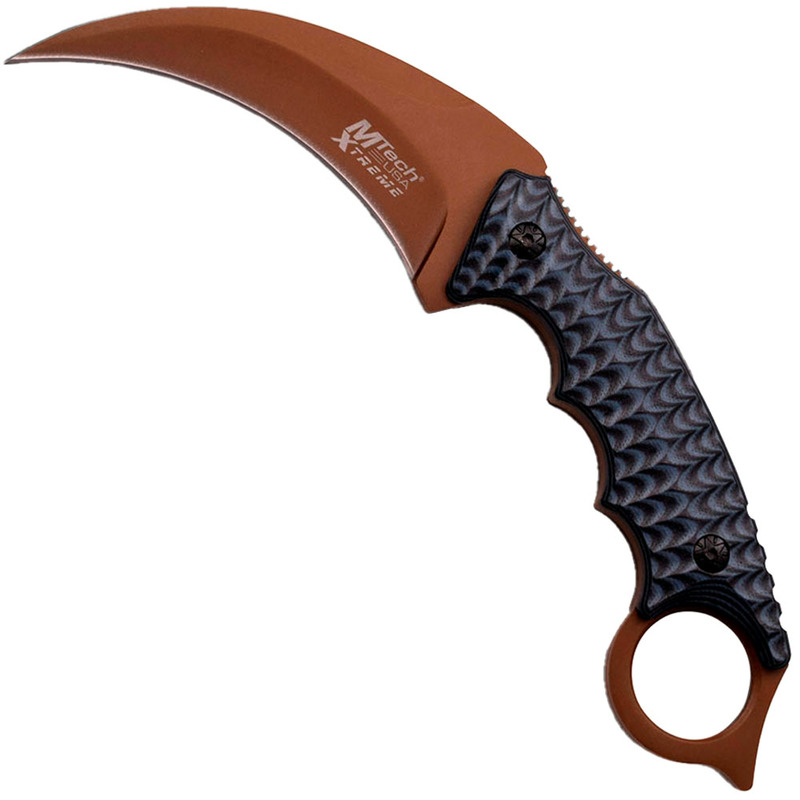 Karambit style handle includes 1680d nylon sheath.